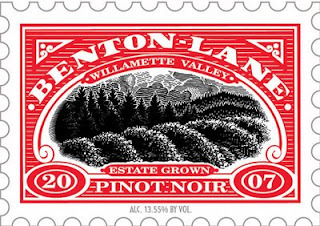 2007 Benton Lane Pinot Noir is another great value Pinot from Willamette, Oregon. It offers lovely scent of purple flowers, spice and bright red ripe cherry fruit on the nose. The palette is balance, harmonious and pack of red berry fruit. Despite its slight under ripeness due to the vintage, the wine has great acidity and depth, and feel somewhat Burgundian in style, although not in taste. I like it for what it is and for the price, but I need to admit my favorite Pinot from Oregon (so far, in this price range) is still the unbeatable "O'Reilly's Pinot Noir". Drink it with roasted poultry, chicken on sauce or a grilled fat fish like Salmon. A nice discovery from South Africa, Releaf is a blend of 50% Cabernet Sauvignon, 30% Merlot, and 20% Shiraz. It is made from 100% hand harvested, organically grown grapes from vineyards under sustainable agriculture (somewhat a mix of Organic and Biodynamic culture). The nose offers intense flavors of blackberry, cassis and vanilla spice. 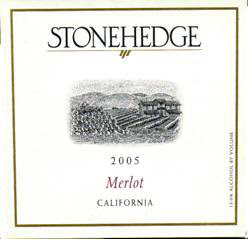 On the palate, Merlot adds plumy and red cherry notes plus a suppleness that balances Cabernet’s structure, while Shiraz adds a peppery blackberry pie characteristic. The blend perfectly balances the fabulous fruit flavors, structure, and acidity, yielding a wine with earthy, concentrated flavors. Fairly complex for a wine in this price category from South Africa, it is really inviting and approachable. Organic wines have come a long a way, and Releaf is a good example what can be achieved when growers use sustainable farming. Even the bottle and the label were designed with the environment in mind using partially recycled glass for the bottle and recycled ink and paper for the label. Step into the Green! Respect the environment for you and the future generation! Thank you. In this economy and with a worldwide crisis going on, it is important for customers to be able to rely on good but inexpensive wines, and Chateau de Felses is one of these reliable brands that will always give you enough complexity and interest for the money. The past 3 vintages have been exceptionally consistent, and this 2006 is no exception to the rule. Crafted by the now renown owner and producer Bernard Germain, with 100% Cabernet Franc, Chateau de Fesles Cabernet Franc Vieilles Vignes is a fine expression of what ripe and well trained Cabernet Sauvignon can achieved. Round, supple and elegant with a bright acidity, crisp red berries flavors and some very integrated tannins, this wine is a delight on its own yet it will complement pleasantly paté, cold roast beef, game and poultry, as well as soft cheeses. The 2004 vintage was somewhat restrain and a bit tight but still enjoyable. 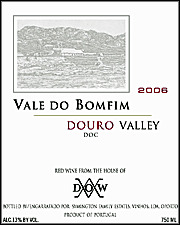 The 2005, due to a riper vintage, offered more fruit and linger on the finish with more corpulence. The 2006 vintage is a juicier version of the past two, with brighter fruit then the 2005 and more integrated tannins than the 2004, somewhat less austere. In my opinion, Chateau de Fesles Cabernet Franc Vieilles Vignes is a real value from the Anjou region and people should pay a bit more attention to it. Cabernet Franc lovers should keep Bernard Germain and Chateau de Fesles as an excellent reference to Loire Valley red wine. definitely a recommended buy. First, you don't want it too sweet, so avoid Ginger Ale or any other kind of sweet sodas. Second, you don't want it too strong, so make sure that you taste it as often as possible while you doing it. In general, people use cognac or brandy to give it a kick, but I personally found it a bit harsh and strong, I usually prefer dark Rum or Calvados, which are softer and rounder yet still give a good kick to your Sangria. Last detail, always make your Sangria the day before the party for maximum flavors and taste. 4 bottles (750ml) of red wine (Spanish - Tempranillo or Garnacha - or South American - Cabernet Sauvignon or Merlot or Malbec - for 2 good reasons: good value and price). In fact you can choose the red that you want from any country, as long as you like it. Remember that price doesn't make taste, and a Sangria made with a more expensive wine will not taste better. 1 bottle of spirit (500ml or even 750ml depending of how strong you want it), cognac or brandy are good but too harsh in my opinion (especially when inexpensive); Calvados or Rum make a better choice for a better and rounder Sangria. You don't want to hammer your guests on the head with the alcohol. So with Calvados or Rum, your Sangria will taste softer but it still will be as strong (as with cognac or brandy). Fruits: lemon, orange, apple, peach, pear, pineapple and grapes are among some of the most commonly used fruits for Sangria (red or white). 1 bottle (500 ml or 750ml, depending on how diluted you want it to be) of tonic water or seltzer water or sparkling water (flavored or not is your choice, it wont alter the taste too much). 1 small bottle (200ml or 375ml, depending on how sweet and orange flavored you want it to be) of Cointreau or Grand Marnier (or can even use Triple Sec but it isn't as good in my opinion). Once you gather all these ingredients, you are finally ready to make a good Sangria, forget about the rest or what people say, the simpler the better. Let's do it. finally, cut the fruits and put them in the bowl with the wine and the rest. Cover the bowl with a piece of cloth or with aluminium foil, put the bowl in the fridge and let the fruit macerate all night long until next day. The next day, about an hour (or 2) before your guests arrive, take the bowl out of the fridge and taste your Sangria (and add what is missing, depending on your taste: i.e. wine, spirit, cointreau, sugar or fruit). Add the seltzer or sparkling water (or tonic water). In my opinion, Ginger Ale or Seven Up or any other super sweet soda will alter the taste of your Sangria. More over, you don't want to disgust your guests with too much sweetness. Voila!!! Your sangria is ready. You can put it back in the fridge until your guests arrive or you can leave it on the table to macerate a bit more at room temperature until your guests arrive (just make sure that at the last minute, you will have a bucket full of ice cubes at the ready next to the bowl). And for a white Sangria, do the same thing and follow the same steps, just replace the red wine by white wine, and you're all set. I discovered this wine a few years ago and never stop drinking it since then. I especially enjoyed the last two vintages 2006 and 2007. In any cases, the fresher and younger it is, like most Galician whites, the better it is. Unoaked Albarino and other fresh whites from Rias Baixas and Ribeira are also very fine examples of what this little-Brittany-like region of Spain can produce. Coming from Galicia, forming the northwestern part of Spain above Portugal, this wine was crafted with the indeginous local white grape: Godello. It is the main white grape variety of the D.O. Valdeorras, a little pocket size wine appellation located in the southeastern part of Galicia. Valdeorras is neighbouring the D.O. Bierzo, another appellation that I 'm very fond of, producing balanced Cabernet-Franc-like reds with the Mencia grape, located eastern part of Leon, Castilla y Leon. "Founded in 1987, Godeval not only resurrected the ruins of the 12th century Monastery of San Miguel de Xagoaza where the winery is located but also resurrected the all but forgotten ancient varietal Godello. Stone rooms that once housed gallant medieval knights and weary pilgrims are now home to a state of the art cellar. The estate owned vineyards are located high on a ridge that dominates the valley. The slate soils lend a unique minerality to this crisp wine which is a perfect accompaniment for seafood and fresh shellfish." Info taken from the label. I'm in love with Galician whites, fresh, vivid, crispy and loaded with minerality, they are my first choice in white with white Burgundy, some white Pessac-Leognan and Graves, Loire whites (from Muscadet to Chenin Blanc to Sauvignon and more), German and Alsacian Riesling, Austrian Gruner and the racy Txakolina of the Basque coast near San Sebastian (again in Spain, I just love Spain....friendly people, good wine, good food, sunny weather, open minded on culture, art and design, etc...but this subject will take an entire new post...). A Jorge Ordonez Selections distributed in NYC by Tempranillo Inc.
Godeval 2007 was a real revelation for me when I first tasted it and it remains one of my favorite whites from Spain. It has beautiful balance, bright acidity and great minerality which confer to this wine a very inviting sense of purity and freshness. They is no season to drink it. It will always quench your thirst and enhance your meal, whether you're eating grilled fish, seasoned shellfish and even white meat in sauce. It is ideal for any occasion and I have yet to meet somebody that disliked it. Enjoy! (I personally drink it like water...). Champagnes and other sparkling wines, what to buy? The last 3 months and half were full of good surprises and especially loaded with bubbles. Think about it: Thanksgiving, Christmas, New Year's eve, Inauguration Day, Valentine's day, new season series of Lost and Heroes, Super-bowl, a few birthdays and many more and other reasons to drink bubbly. Many customers asked me (and the rest of the staff at the store) the same questions for nearly three months straight: which kind? dry? medium dry? sweet? rose? Champagne or Cava or Prosecco or else? I like to drink or to offer a bubbly but I have no clue? How much should I spend? Brands or small growers? It is funny to realize that many of us have no idea what to buy when Christmas' and New Year's eve call for a bubbly. I think that this post will have been more helpful at the beginning of December, however you may refer to it all year long. After all, bubblies suit any and every festive occasions. But first, let me remind you about the different styles of sparkling wines that you will surely encounter in fine retail stores and especially about these two little letters (i.e. RM or NM) on the champagne label. I tried to make it simple and straightforward for everybody to understand. These four factors: Origins, Styles, Vinification Process (or Production) and for Champagne, the two small letters on the label; they may appear insignificant to you and for most people, but they are a great quality indicator and will surely help you to make a better choice in your champagne and other sparkling wine selections. Origin (a): only sparkling wines coming from the region of Champagne (France) can be called and labelled "Champagne". Other sparkling wines produced in other wine regions of France made with the "Methode Traditionnelle" (also known as "Methode Champenoise") exist, but by law must carry a different name like: Cremant de Bourgogne (Burgundy), Cremant d'Alsace, Cremant de Loire, Cremant de Bordeaux, etc. Italy: Prosecco (Veneto), Moscato d'Asti and Brachetto (Piedmont), Lambrusco (Emilia-Romagna), and other Brachetto, Spumante and Frizzante, etc. I hope that the reading about the origins gave you a better idea about where some of the most famous sparkling wines come from. Now let's try to understand the different styles. Brut: a dry style of sparkling wine or Champagne (less than 15 grams of sugar per liter). Extra Brut: an even dryer (the driest) style of sparkling wine or Champagne (less than 6 grams of sugar per liter). Nature (Brut Nature or Zero Dosage): means that no sugar has been added (no dosage, so less than 3 grams of sugar per liter) with the "Liqueur d'Expedition" after disgorgement, resulting in a dryer, more acidic style of sparkling wine or Champagne. Extra Dry: is not dry at all, it usually refers to a sweeter style of sparkling wine or Champagne (between 12 and 20 grams of sugar per liter). Sec: means Dry in French, but here again it is quite noticeably sweet (between 17 and 35 grams of sugar per liter). BTW: remember that Brut usually refers to "Dry" but "Sec" doesn't mean dry (because it is not as dry as the "Brut",.... like "Extra Dry" doesn't mean very dry (or extra sec) but the opposite, it is sweeter than Dry or Brut.... anyhow, the British invented all these terms, so go figure....). Demi-sec (semi-dry): sweeter than the previous one (33 and 50 grams of sugar per liter). Doux (semi-sweet to sweet): usually the sweetest (more than 50 grams of sugar per liter). Brut: (again) refers also (in general) to a dry sparkling wine or Champagne white or rose (but also red in some countries) that can be made with both red and white grapes (i.e. Chardonnay, Pinot Meunier and Pinot Noir for Champagne). Blanc de Blancs: usually a Champagne white or sparkling white wine made exclusively with white grapes, in most cases: Chardonnay. Rosé: usually a Champagne rosé or sparkling rosé wine made from a blend of both red and white grapes (i.e. X% Chardonnay + X% Pinot Noir, etc..). Tête de Cuvée: refers to the best champagne that a Champagne house can produce. It can be millésime (meaning from a specific vintage) or not. (i.e. "Dom Perignon" is the "Tête de Cuvée" Champagne of Moët & Chandon; "Cristal" of Louis Roederer; "La Grande Dame" of Veuve Clicquot; etc..). R.D: means "Recemment Dégorgé" ("Recently Disgorged" in English). It means that the Champagne R.D, usually an excellent vintage, was left for a longer ageing period in the underground limestone cellar of the Champagne House and was just disgorged then bottled recently (usually when the winemaker decides that the produce is at its best and was aged long enough to obtain the wanted style with the desired combination of style, flavors and balance). If you visit a Champagne House, ask to see how the disgorgement is done and ask them if you can taste the Chamapgne before they add the "Liqueur d'Expedition" and put the final cork. Bollinger has one of the best R.D in the market (in my opinion). NV (non Vintage): means that the Champagne or sparkling wine is a blend of different vintage. Often, a touch of the same vintage or a different vintage (also call reserve) is added with the "Liqueur d'Expedition" to complete the bottle and replace the small amount of Champagne lost during disgorgement. But usually, the blend happen before bottling. Most sparkling wine and Champagne are NV. A Non-Vintage must be aged for at least a year and a half before released. In most case, blending the Champagne made out of the latest harvest with a bit of reserve Champagne allows consistency, reliability and very similar taste from one year to the next (especially true with the big Champagne house). That is why a bottle of Veuve always taste the same and that is another reason why people in general prefer to buy brands instead of venturing in the smaller world of the lesser known Champagne house. Blending is an art and consistency insures sales. Irregularity between batches may happen, but, somewhat due to new techniques, methods and skills, it is far less common now than it used to be 10, 20 or even 30 years ago. Vintage: Before (more than 20 years ago), Vintage Champagne and sparkling wine were only made in the best vintage with the most adequate climatic condition, ripeness, acidity, balance, structure and ageing potential which only happened 2 to 3 times max per decade. Unfortunately, new markets in emerging countries, luxury products market and constantly increasing demand transformed this myth. Nowadays, vintage Champagne are nearly produced every year or every other year, and in my opinion the quality of some of the most prestigious brand tremendously decreased over the last 10-15 years. Amongst some of the best Vintage Champagne that I tasted over the past 17 years, the vintage 79,82, 85, 88, 90, 96, 97 and 99 seems to have extremely please my palate. That should give you a better idea about the different styles produced around the world and should guide you in your choice (I hope...). Now let's try to understand how they are produced. There are at least 4 different main methods to produce sparkling wine and Champagne. Methode Traditionnelle (previously known as "Methode Champenoise"): the most used and surely the most well known around the globe. After primary fermentation, the wine is bottled with an addition of several grams of yeast and sugar (known as "Liqueur de Tirage") which will induce the second fermentation in the bottle, thus the production of bubbles. The bottle is capped with a crown cap (like for for beer), then stored horizontally and slowly and constantly rotated (or riddled) for a minimum of 1.5 years (NV) up to 3 years and more for the vintage. Rotating the bottles slowly redirect the lees (yeast, residual sugar, etc..) toward the neck of the bottle where they settle and remain. At the end of the ageing process, the cap and the upper part of the neck are then frozen and the crown cap is removed (also known as disgorgement). The pressure in the bottle forces out the frozen lees, and the bottle is quickly corked with the addition of the Liqueur d'Expedition: a blend of Champagne of the same year or reserve Champagne to top up and complete the bottle + several grams of sugar to balance the acidity. Once corked with the final cork topped with its metallic plaque (Champagne house brand logo or name) maintained securely to the bottle by the musellet (or cage), the bottle is usually stored for another 3 to 6 months (or more depending of the house) before bottling and releasing (sometimes even longer for the most prestigious Champagne). Charmat Method (also known as Méthode Charmat, Metodo Charmat-Martinotti or bulk process): invented in the early 1900 by a frenchman, Eugene Charmat, to mass produce sparkling wine in a minimum of time (usually about 90 days from harvesting to bottling). The major difference with the Méthode Traditionnelle (aka Champenoise) is that the secondary fermentation occur in pressurized stainless steel tank (in bulk) where the wine remains under constant pressure through the filtering and bottling process. Although, the resulting sparkling wine may be more consistent from bottle to bottle compare to Champagne, it is not as refined or elegant, and the bubbles are also larger and slower which often indicate lesser quality. It is one of the most used methods through out the world, after the Traditional Method. Transfer Method (or Process or Transversage): here again, like the Charmat method, it is less expensive and less time consuming than the Méthode Traditionnelle. Invented in Germany, it takes about 90 days to a year from picking to bottling, depending on the producer and the style. It roughly follows the same steps as in the Methode Traditionnelle up to the bottling. What differs is that immediately at the end of the secondary fermentation, the bottles are emptied under pressure, then the sparkling wine is quickly filtered and rebottled (which in fact, replaces the remuage, the riddling, the need of freezing the neck to entrap the lees and sediments, and the disgorgement process of the Methode Traditionnelle). Methode Ancestrale: Here again, it follows the same first steps as in the Methode Traditionelle up until the end of the end of the primary fermentation. In fact there is no secondary fermentation and the sparkling wine is bottled without any addition of anything (no sugar, no yeast or else). It can also be slightly cloudy because it doesn't undergo any disgorgement or any filtration, and still contains the dead yeast matter in form of lees in the bottle. The resulting sparkling wine is usually fruitier, somewhat raw and earthy, and often sweeter than other sparklings. The 4 methods above are the most used around the world, with the Methode Traditionnelle and the Charmat Method as the preferred method by most winemakers. Sometimes bubbles in wine don't make the wine a sparkling wine. One may also found a natural touch of fizz on the tongue when tasting freshly bottled wines, especially white wines (like Txakoli, Albarhino, Muscadet, Penedes white, etc...); however, it usually dissipate after a few minutes in the glass, in contact with the air. By now, I think that you should have a clearer idea of which bubbly you will buy for your next festive occasion. Only one thing remains, the two little letters on the bottle of Champagne that I was talking about earlier. In fact, nobody really cares or even really tries to understand what they mean, but they are a significant quality factor, especially when one is looking (or should I say venturing or exploring) for a good to excellent unknown champagne at a better price than the usual brands. In our world of consumption, nearly everybody is often tempted to fall into a good marketing trick: attractive packaging, colors, seen everywhere on TV, advertisement boards and luxury magazines, an easy name to remember, etc... However, most of the time, you end up buying an "ok to good" but not very often excellent Champagne, because you pay more for the brand and the marketing of it than for its quality. Of course, the first names that come to mind (in the US) are: Moet & Chandon and Veuve Clicquot ("passe-partout" or should I say "all purpose" in English) for those who don't want to think too much and like to rely on brands, and then Cristal (but rarely Louis Roederer, even it is the same house) and Dom Perignon (the Grand Cuvee of Moet & Chandon, which is - here again - rarely associated with the name of the Champagne House that produces it.... ask, you will see, many people don't even realize it...). However, there are hundreds of other Champagne house names, that are also good to excellent but less marketed and in my opinion much more interesting, and often less pricey. Here is a brief list of the 4 different categories of Champagnes that you can find on the market and how the little letters define these categories, and essentially characterize the quality of each Champagne House and their different Champagnes (NV, Vintage, etc...). NM (Negociant Manipulant): It is the most common in Champagne. It usually designates a Champagne House that partly owns its own vineyards but especially sources and buys grapes from the growers, then vinified, aged the Champagne in their own underground cellar and bottled it under their own label(s). The grapes can come from many vineyards planted anywhere in Champagne, own by many growers. The grape prices depend on the provenance and origin of the grapes, depending on the Terroir (village, micro-climate, vineyard exposition, type of soil, etc..) which defines the quality of the vineyards (Grand Cru, Premier cru, etc...). Usually the big Champagne Houses have a tradition to negotiate and buy the grapes with the same Growers for generations (which also explain why some NM can be "Grand Cru" and "Premier Cru"). They sometimes buy to more than 80 growers (producers). However, over the past 5-8 years, connoisseurs and amateurs have developed a taste for Grower Champagnes which are becoming increasingly more popular. Overall, their are roughly about 5,000 growers (RM) bottling their own champagnes and about 14,000 vineyard owners selling their grapes to hundreds of Champagne Houses (NM), cooperatives (CM), and others. CM (Cooperative Manipulant): After harvest, growers (who belong to the local cooperative) bring their grapes to the cooperative where they (the grapes) are divided and mixed by quality (rather than by origin or growers, because local) the resulting wine(s) is(are) then vinified, aged and bottled at the cooperative under the cooperative's label(s) and not under the growers' name or label. Some cooperative offer excellent quality Champagnes, not as great, nor as complex as some of the growers or the big houses, but very often good value. A few more categories exist, but I will write them in an other post (one day...). I will also write a special post with all my favorite Champagnes and other sparklings, classified by categories and Region and Country of origin. However, the 3 main categories above (NM, RM and CM) regroup some of the best Champagne Houses and producers in the market. Just look carefully on the front label for the two little letters. All the info above should really allow you to make a better decision during your next bubbly buying experience. I hope that you've find this post as useful and interesting to read as it was for me to write it. Til next time in a new post, Enjoy! After about a month working roughly 10 hours (+) a day, 5 to 6 days a week, the month of December is finally finished and I'm back for more posts. It was a good month overall. We were 10 to 15% down from last year, but overall we can't complain. It wasn't as bad as we thought and most of our business is base on the local clientele, so we were not as affected as some other retailers. In any case, depression and recession are calling for consumption, and the wine and spirits industry is probably one of the less touched by the crisis. People (in general) seems to cut on food, gas, night out, restaurants, etc... but not on booze or wine (fortunately for us..). Of course, they did not buy any wine above $25-$30, except the last 2-3 days before Christmas and New Year for present only, and rather stayed under $20 and even $15. However, instead of one bottle at $30 or $40 for their own consumption, most of them bought 2-3 bottles between $8 and $15 (which is even somewhat better for our business: more inventory turn over and in most cases better margin). With Obama in the starting block, the United States of America should take a new beginning, start a new era and bring hope for a better future. Can he really make a difference? Will he be able to change what need to be changed? Yes, I think so. As he said "Change can happen!" and we should all believe in it and help him to concretize it. Happy New Year 2009! Joy, Happiness, Health, Success and best wishes to you all. Wine and spirits will continue to inspire and please beginners, amateurs and connoisseurs like you and me. In 2009, I will try to describe and write about a wine (or more) everyday (or as often as possible). As always, enjoy wine with friends and family, and preferably with food on the table. In this difficult time, there is nothing better than a brunch, a lunch or a dinner with good people and a carefully chosen (even inexpensive) bottle of wine to share with them.